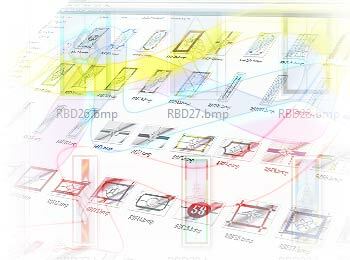 ComfortableStyle, Windows and doors software for the window industry. Features and benefits page. HAVE A SOFTWARE SYSTEM FREE* *with a yearly support contract of only £195 ! (ex VAT) click here for terms -- TRY OUR SOFTWARE FOR FREE WITH OUR 14 DAY TRIAL!! Unlike some software trials, you pay nothing upfront! You can actually use our trials to SELL, SELL, SELL!! Click here to benefit from a 14 Day trial for conservatory &/or windows software now!! Can't wait to try our windows software? Click here for an un-restricted risk-free 14 day free trial! Sell conservatories too? 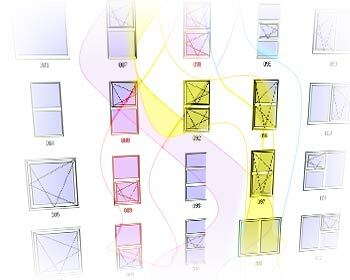 Click here to see our 3D Photo sales software! Do you have a CRM system to manage your leads & customers? Click here to see our intuituve system! ComfortableStyle is the innovative quoting and pricing software for those who sell windows, doors and more. The software boasts a unique "miscellaneous items" engine that allows users to add virtually any type of product and service to the system via a photo-quality image; the display them on reports with pricing information. 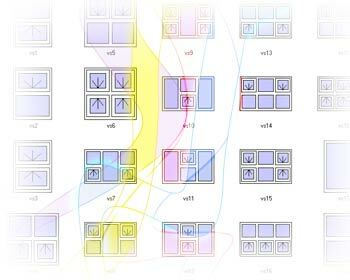 New, easy to use style designer. 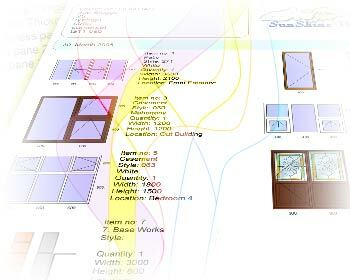 This fantastic new tool allows you to visually create your own window & door designs and add them permanently to the system. Repeat customers who buy from you on a regular basis can now be stored with their address details for future use. Saving the time taken involved in re-keying customer details. ComfortableStyle can pull customers straight from ComfortableContacts* and store customers created in ComfortableStyle, directly in to ComfortableContacts* (where purchased). *Where ComfortableContacts has been purchased. FACT: ComfortableStyle is compatible with Windows® 2000, XP, VISTA (32bit & 64 bit) & 7 (32bit & 64 bit). The tutorial sports a search facility, whereby you can search the contents of the entire tutorial. The above names but a few of the countless features within the software. 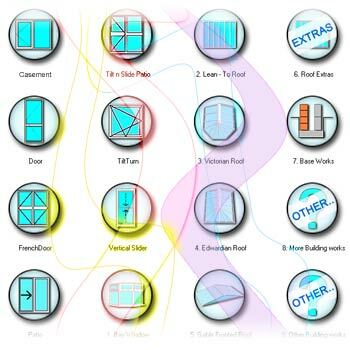 The REGALEAD® collection of door and fanlight decorative glass designs are included by default and you can add your own too! Company details can be set up quickly and easily and your company logo can be shown on all printed and emailed reports. Quotation numbers & Order numbers including amount of digits used (with prefix and suffix) can be defined by the user. Customisable Report information - Users can define which questions and answers are (or are not) shown on reports. Product Defaults - Users can set the 'default' options that are displayed automatically with each product. Adjustable question list order - Product questions List can be re-ordered using simple arrow buttons in the ComfortableStyle Admin program included. Product Duplication - Entire products can be duplicated, with all their question and response data intact. Display of individual item prices - users can turn the reporting of item prices on or off as required. Dual Tax rates - The North American version has built-in support for dual tax rates. The ComfortableStyle interface has been designed from the ground up to be as simple to use as possible without compromising on the functionality or quality of the program. Feature buttons - Many action buttons within the software contain thumbnail views which easily reflect the feature/function to be actioned when . Fast Customer Detail entry - Customer details can quickly be entered to the system by the operator. Simple survey date selection - Survey dates can be selected and set from simple calendar pop-up's! Simple Installation date selection - Installation dates can be selected and set from simple calendar pop-up's! Manual invoice numbering - Invoice numbers can be entered against each order, which are also reflected on the 'Invoice' reports, this allows invoice numbers to match those within your accounts software. Payments received feature - Payments received can be entered against orders, which are also reflected on the 'Invoice' reports. 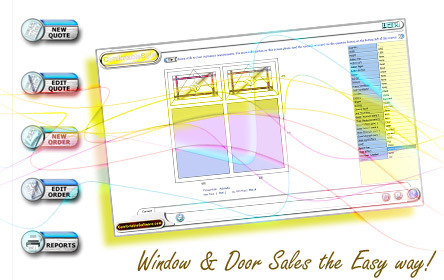 Fast 'point and click' product selection - Window, door and misc items can be quickly added to a quote or an order with minimal fuss. From product selection to choosing the item details, the operator only needs to point and click! Individual item comments - Additional text based comments can be entered against any item that is currently being quoted or ordered. This will be shown on a selection of reports, including the Installation report (Ideal to add specific fitting requirements). 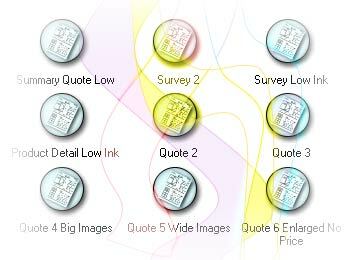 Quote to order conversion - Convert a quotation into an order with 1 click! Print & save photo overlays - Photo-overlay's can be saved as windows bitmap (.bmp) files for use in other applications e.g. Microsoft® Word, or sent directly to a customer via email, and of course sent to a printer! The aforementioned reports come in various versions. Automatic pricing engine - After filling the system with your own pricing information (including any mark-ups etc), the system will automatically price, saving you a massive amount of time and effort. Your customers will also be much more confident in your companies pricing. Item price override - Users can manually override individual item prices and add a reason for doing so. 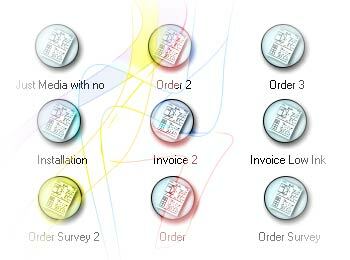 Quote & Order price 'total' override - Users can manually override the overal quote or order pricing as required. Price grids - Support for creating, copying, loading and storing price grid information. Overall price percentage mark-up - A percentage mark-up can be added on top of overall product price. Grid price percentage mark-up - A percentage mark-up can be added on top of the grid price. 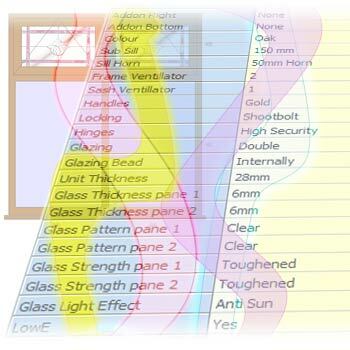 Glass price percentage mark-up - A percentage mark-up can be added on top of the glass price. Product add-on mark-up - Either a cash amount per add-on, or a percentage per add-on can be added. Global mark-up - Facility to define a further percentage mark-up on top of product, after the all other mark-ups have been defined. Bar length price add-ons - Add on pricing information for bars per length in metres (mullions, transoms, midrails, sash mullion and sash transoms) per product type. Sash price add-ons - Add on pricing for sash type per quantity (top, bottom, left and right openers and fixed lights), per product type. Colour percentage mark-up - Percentage mark-up for each colour added by the user. ...all of which can be based on window, head or sill etc. Glass thickness mark-ups - Each glass thickness can be setup with its own base price, with further mark-ups for toughened, laminated etc. Glass light effect mark-ups - Each glass thickness can also have pricing information against various glass light effects; e.g. bronze tint, anti-sun etc..
LowE mark-up - An add on price for LowE can be defined. Glass lead effects mark-up - Patterned glazing effects can have further pricing information added, either per glass effect or per square metre. Panels mark-up - Panels can have further pricing information added, either per panel effect or per square metre. To find out more about ComfortableStyle please click the next button.